I struggled to decide on a spot for this game, I felt like it should be on here, but the amount of drama around it was crazy. I’m fully aware that this game pretty much just came out, and I’m probably still in its honeymoon phase. But I’ll put my hands up and say, despite everything. Despite the initially promising, but ultimately disappointing campaign. Despite the micro transaction/pay to succeed progression model. Depite the backpeddeling from EA over the ensuing drama… I’m still having fun with this game. I like Star Wars. I’ve liked Star Wars for a long time. I have a shelf packed with old Expanded Universe novels, I played any game I could get my hands on growing up. My thirst for Star Wars related content was unquenchable. Then Disney showed up and made everything super mainstream. Don’t misunderstand, I’m happy we’re getting more Star Wars movies and everything, but it would be nice if things weren’t so “written by committee”. That’s too broad a topic for this post though. So let’s get down to the nitty and the gritty. 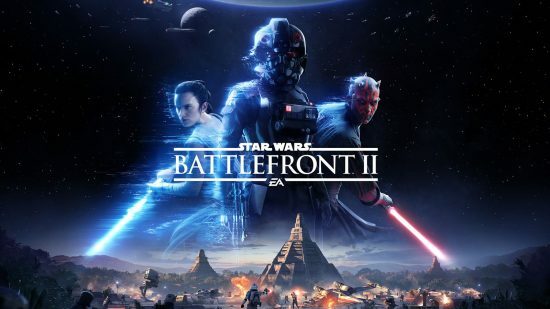 Battlefront is a mediocre game; the shooting is serviceable, the space battles are surprisingly fun and the multiplayer progression system is a hot flaming bin of trash. But it’s still just so Star Wars. The game looks amazing. The detail in designing the different stages, ships and troops for the six different factions in the game is fantastic. As a Star Wars experience it is top notch, and that’s what drags a medocire playing game into my top ten list. On top of that, while it hardly breaks any moulds, the campaign is fun, if a little derivative by the end. Taking us to some pretty cool locations and giving us a likeable cast of characters that, when they’re not just treading on the coat tails of the series main stays, have some good moments. The drama around the micro transaction system for this game caused EA to actually pull back and not sell anything for this game at all. Which, while kind of admirable, they haven’t done anything to replace it. Thus levelling is painfully slow. They’ve gone and made more chances since release too, but it all just feels like damage control at this point. It’s brought the concern about microtransations in video games to the real forefront of everyone’s minds. Whether enough damage was done that publishers move away from this, or they double down and do a better job of hiding it. Well, only time will tell. You might remember that I called the first (by which I mean the third) Battlefront game my second most disappointing game of 2015. In comparison to that game, this one is almost a masterpiece. 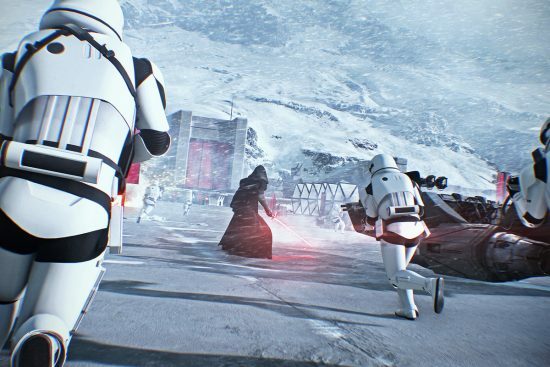 The previous Battlefront felt like it was rushed out to meet a deadline. This one feels like a focused piece of marketing material to bleed as much cash out of the hype for The Last Jedi as possible, which is what the last game should have been. I’m not going to fantasise about any passion project or single person’s vision here, there was no way this game was ever going to be that. Battlefront II was a result of a series of algorithms and market research, but keeping that in mind, I still like what came out the other end. Could it have been better, of course of could have, but that doesn’t mean I can’t have fun with what we got. Posted on December 22, 2017 December 24, 2017 by WooderonPosted in 2017, Best of Year:Tagged Battlefront 2, battlefront II, Darth Vader, dice, ea, game of the year, goty, Star Wars, the last jedi.